The Boys and Girls Club of Saskatoon got a visit from an NBA legend last weekend. Muggsy Bogues went up to Canada to speak at their Dunk for Diabetes program, sponsored by Sun Life Financial. Bogues addressed a group of young people about lessons he has learned during his life. He also helped out, sharing on-court tips at their basketball clinic. The event was the conclusion of the six-week program that shared principles for healthy eating and staying active. The conversation was meant to prevent Type 2 diabetes. At 5'3", Bogues made history as the shortest player in NBA history. He had a 14-year career where he starred for four different teams at point guard. Bogues was particularly popular during a decade-long run with the Charlotte Hornets. He is the franchise's all-time leader in minutes played, assists, steals, and turnovers. After his career, Bogues spent time as a coach on the high school level and with the WNBA's Charlotte Sting. He is currently a team ambassador for the Hornets. 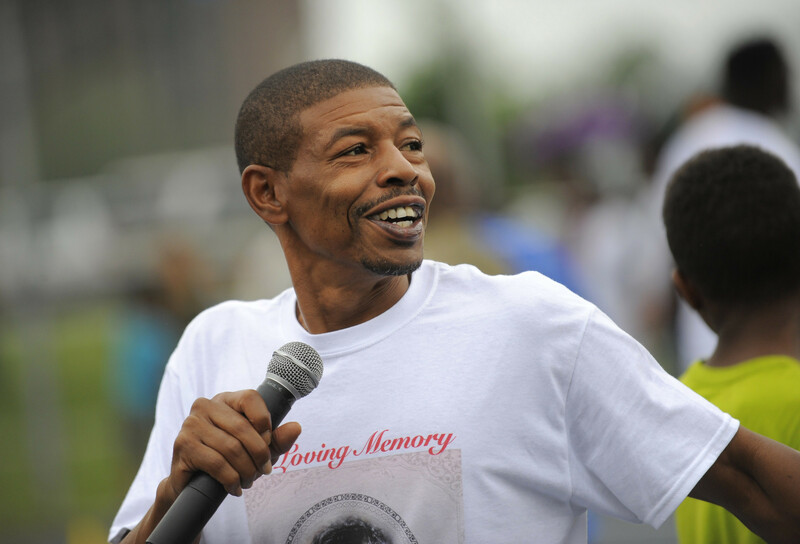 To inquire about Muggsy Bogues' speaking fees and appearance costs, contact the agents at Athlete Speakers by calling us at 800-916-6008 or by Starting Your Booking Request Now.